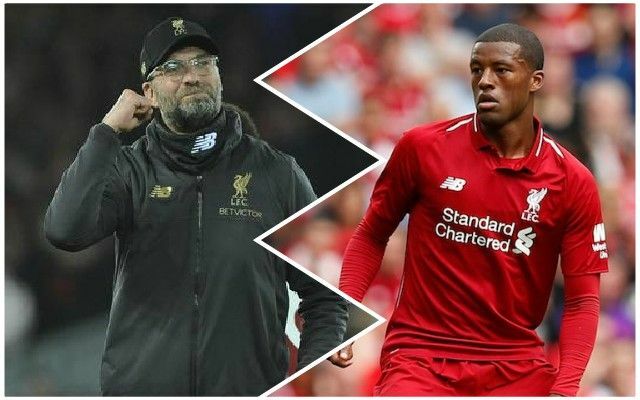 Liverpool had to pick Adam Lallana in midfield last night and an unwell James Milner at right-back, due to the late injuries picked up by Jordan Henderson and Gini Wijnaldum. Milner offered very little up the right, and we missed Wijnaldum’s ability to find pockets of space in central areas. It’s Bournemouth on Saturday, and hopefully we’ll have a few players back available. The key is getting Trent Alexander-Arnold back in defence… We reckon Hendo and Gini will probably be ok too – which will give Klopp decisions to make in midfield. We think Fabinho, Naby Keita and Gini would be a strong trio. Keita has not yet been able to show his best at Liverpool, but there were signs in the second-half last night that he’s improving. Granted, he’s not yet set a very high benchmark, but the only way he’s going to gain confidence is by playing minutes.